If you would like to learn about how to find innovative solutions to a challenge you might have, the design thinking methodology can be a way of achieve it. The students went through five stages of the design methodology. 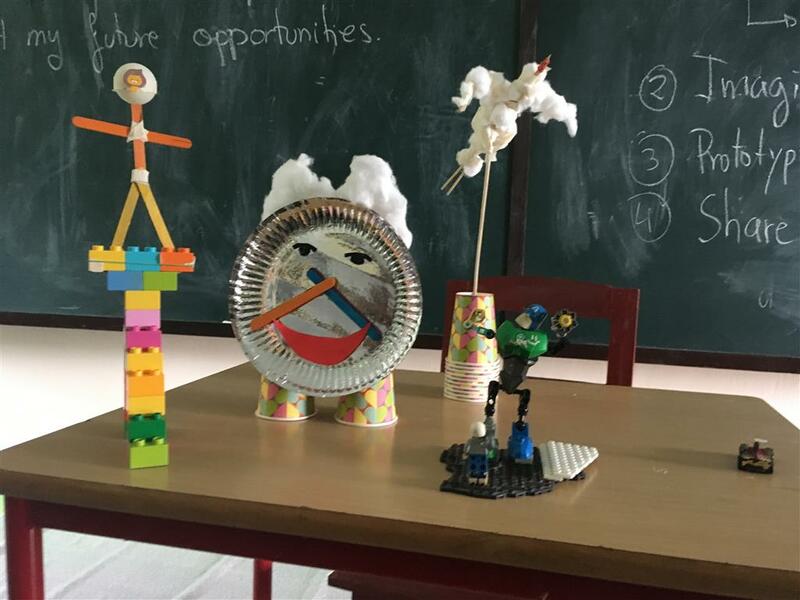 Prototype: they are given a set of multiple and varied materials (paper clips, ping-pong balls, color papers, wooden sticks, elastic rubber bands…) to create a model/prototype of the solution they have chosen. Share: after 20 minutes designing and building their prototypes, every group made a two minutes presentation to everyone else. They had the opportunity to develop their communication skills and explain how they would solve the challenge previously defined. Evaluate: after each presentation, every group received feedback from their peers following the “sandwich rule”. This consists on saying something positive, something to improve or whatever the audience think that should be reconsidered, and finally, something positive again. This last phase is very important because it enhances the capability of giving and receiving feedback in an enriching way. Without a doubt, students were extremely committed and involved during the entire design thinking session. It was a great experience that allowed students to develop multiple skills such as empathy, creativity, team work, communication and giving and receiving feedback. Moreover, students were responsible for their learning while having lot of fun. Teachers were also involved in the process in helping to guide the students.